You can click on the link above to go directly to a page showing the news bulitins. "We rejected the petition you created – “I object to the Hastings Borough Council Planning matter HS/FA/18/00110.”. It included confidential, libellous, false or defamatory information, or a reference to a case which is active in the UK courts. We can't accept petitions that make allegations of crimes. In any case, we can't accept your petition because this isn't something that the UK Government and Parliament are responsible for. 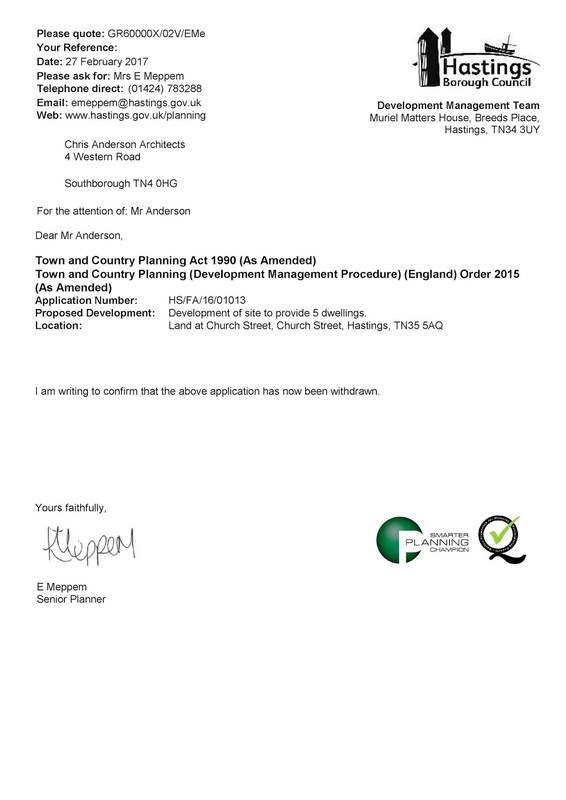 You can make an objection to a planning application here: https://www.hastings.gov.uk/planning/ You can find out how to make a complaint to the council here: https://www.hastings.gov.uk/my_council/complaints/ If you have made a complaint to the council and you're not happy with the way in which it has been handled, you may be able to complain to the local Government Ombudsman: http://www.lgo.org.uk/make-a-complaint "
Well that is already in hand on its way to LGO clearly the government supports fraud and does not want petitions being raised in this regard and its paperwork and its information in regard to fighting fraud do not apply to local authority what a sham! What part is libelous confidential or untrue? Why wont they investigate the Council . The Police Professional Conduct Body of the police have now two separate cases against an officer who is reported as an Acting Inspector. Yesterday details of information was given as a misdirection to stop the police from being required to offer an investigation the premiss of this was under PB92033 of the PNLD database. the excuse given was that "All offences under the Protection of Badgers Act 1992 are summary only and subject to a 6 month prosecution time limit, from what I can tell all incidents took place more than 6 months ago so even if there were an offence made out we would not proceed. " . Simply put this is an untrue statement as the 6 month time-limit starts when the matter is placed before the CPS which has not occurred. Clearly this is very alarming and no contact has been provided by the Wildlife Office Tom Carter who seems to be very non communicative. New questions are being asked of Hastings Police in these matters of alleged Fraud and Alleged Wildlife crime. This morning a complaint was progressed through the IOPC website in regard to the conduct of the acting chief constable and his dc's in failing to act on serious fraud in Hastings . The complaint was directed back through East Sussex Police presently and we look forward to moving this frustration situation forward . There has been no reply from the council in over a month. Three FOI Requests have been served on the East Sussex Police in regard to non-failure to investigate criminal law in Hastings. The time has lapsed on the first request and it is now out of time. we intend to write to the Commissioner next week to ask why her force is unable to comply with the Information Acts. These requests or failure to provide these requests and criminal prosecutions will go the Police Complaints IOPC . When the last request has expired. East Sussex unwillingness to investigate criminal matters of fraud and wild life crime are noted in these requests The Acting Inspector who has been informed of this will not act on behalf of the public in any of these matters a recent communication May 4th from Aiden Cornwall "will not be looking at this matter again" a report will be made to IOPC on Monday of his failures to uphold the criminal law in Hastings in these cases. We think this is quite deplorable. No Replies from council in regard alleged fraud at church street, Hastings in over a month. 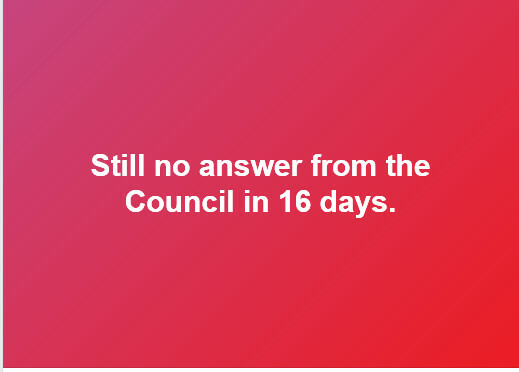 There has been no reply from the Labour Party running the Council or Corporate services in over a month the last Director written to was Mrs Hartnell and no reponse at all was forthcoming. Why is the council conducting its affairs in a criminal manner. What was stent to Mr Neil Dart Director Director of Corporate Resources & Head of Paid Service, is very serious and deserves an explanation. It is quite clear to everyone that this matter of criminal activity needs address. Is this why there has been no investigation of the council alleged fraud. It seems that the investigating Detectives case loads have just been shelved without any investigation happening. This is very disturbing incident in the Daily Mail online. The complainant is in contact with the police but the investigation by this same Detective has been halted without any investigation occurring. The complainant is expecting a reasonable reply from the acting Inspector. As it seems that his investigation transferred on the skill Set and perhaps many others have all been shelved. If you concerned about our own case please contact the police directly. The Acting Inspector of the Police confirmed in a communication today that the council was being currently investigated for alleged fraud. He is awaiting an update from them. He has confirmed "The fraud aspect of the matter is still under investigation..."
The council has still not responded in a whole month in regard this matter providing a satisfactory answer. 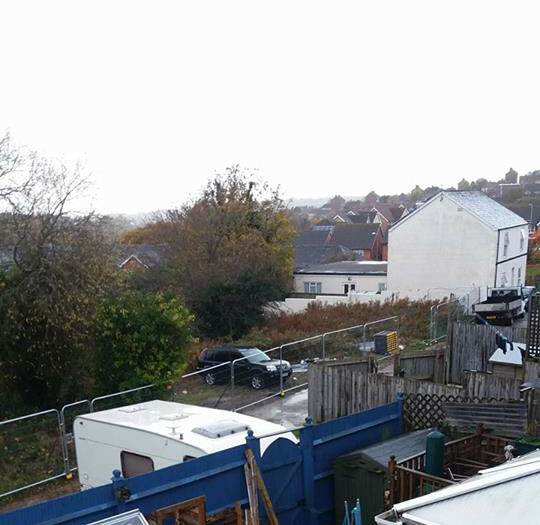 The chairman of the Trust and director of HBPS Ltd has been in discussions with the police in regard to the alleged unlicensed illegal activities on church street evidence was provided to the police with the hope that prosecution can be sought for the nefarious activities seen on this site at Church Street part of the Speckled Wood Estate. 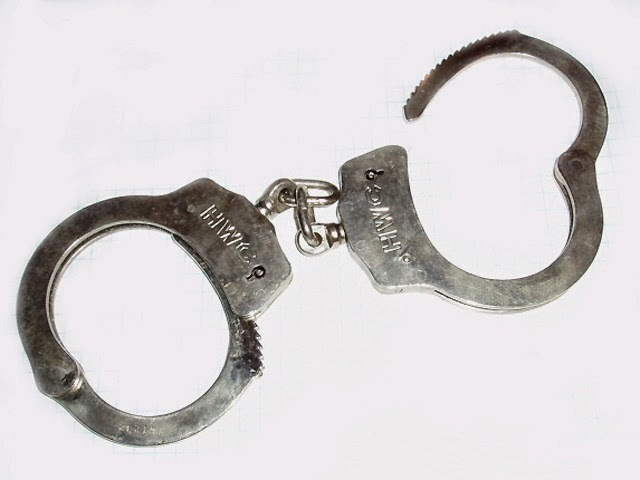 Alleged Fraud Under Section 1 Offenses. 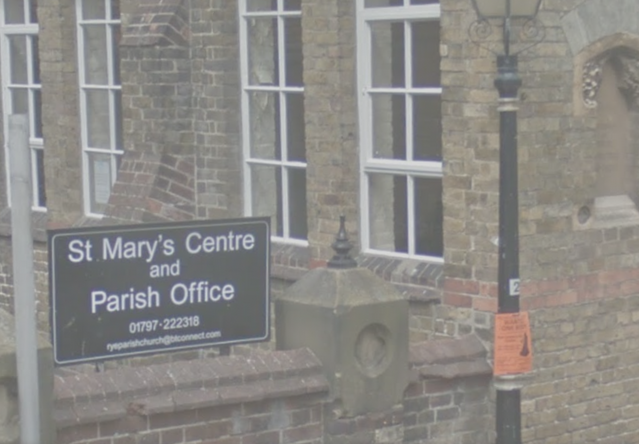 Well if you have been reading along with this story involving alleged section one fraud in regard to the land at Church street you will or might be amazed that the council still has not responded after sixteen days . The police have been notified of this fraud and there still has been no formal response from them there is already a complaint under the investigation allegedly taken by an officer . We have been told by residents that not one of them saw the police attend this site. This has led to the complaint CO/002718 . The Chairman Mr Newbold contacted the police yesterday for an update in the case of alleged fraud none was forthcoming. 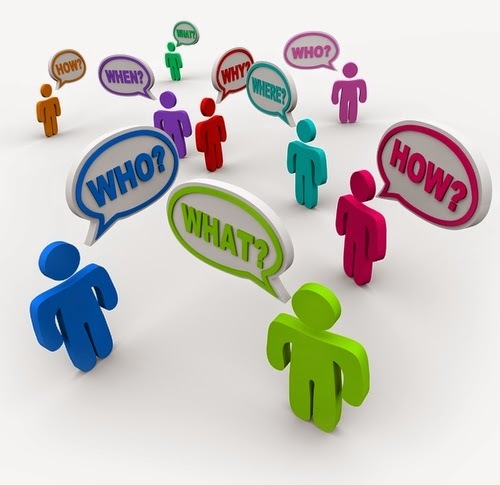 Southern Water Legal Department are unable to tell us who thier customer is? Contractors Cappagh Browne move in on Speckled Wood to repair drains for an unknown customer which would seem to dump sewage in the Ore Stream leading to more polution in the country park again. An enforcement complaint has been made to the Council that the members of this organisation will do nothing we are facing a situation in our borough were wildlife has no protection. Despite the legislation and law no one wants to act legally in these matters A licence is required from Natural England which must be presented on demand. Instead of this the Capagh Browne Ecologist tells us that she a member of the CIEEM when she is clearly not and that she has spoken to Natural England about thier methodology and they are happy for them to proceed. The owner of the Care home told us that she asked Southern Water to put thier drains into Clifton Road. So who is this Mystery Customer ? This is equally odd when you consider this was Southern Waters solicitors cover story was that they was acting on an emergency leak for the Care Home. This blog has to ask the question what value is Natural England giving us then? Picture Caption: Hide and seek with a Mini Digger perhaps they are trying to hide or loose it! Badger activity increases on the Church Street site in Ore as Southern Water move in. 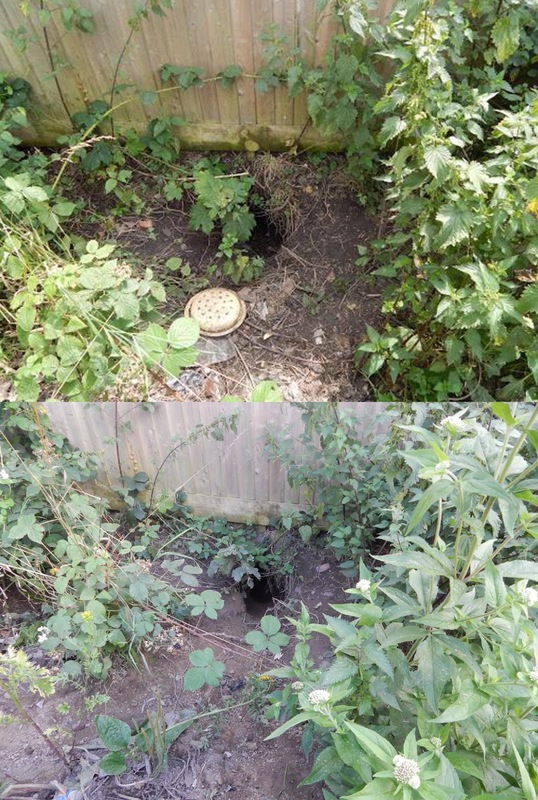 There has been an increase in the activity on the Badger sett at church Street not disclosed by the so called ecologists who work for the developer or council who made public statements there was no sett on this land. 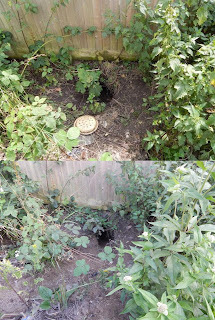 This Badger sett has increased in ten days due to the stress digging from Southern Water on the site. Southern Water has been pumping tanker loads of water through the broken sewer which has fractured parts blown out of it of some 8"-1ft in size from the side wall. This is being done to try to resolve the flooding issues for properties in Clifton road, which are just less 20ft from the sewer in Clifton Road. Does this make any financial sense to you? The work carries on this morning with a new tanker load of water. The CIEEM is investigating statements made at the Planning Application of this matter in respect to CIEEM and memberships. Councillor Street in a public planning meeting said that there had been much misinformation given out by the supporters of Speckled Wood to protect the land at Church street . We was told that a fence had been errected which was not evident and that it had been placed to protect the badgers as was alleged by Cllr Richard Street Planning meeting . 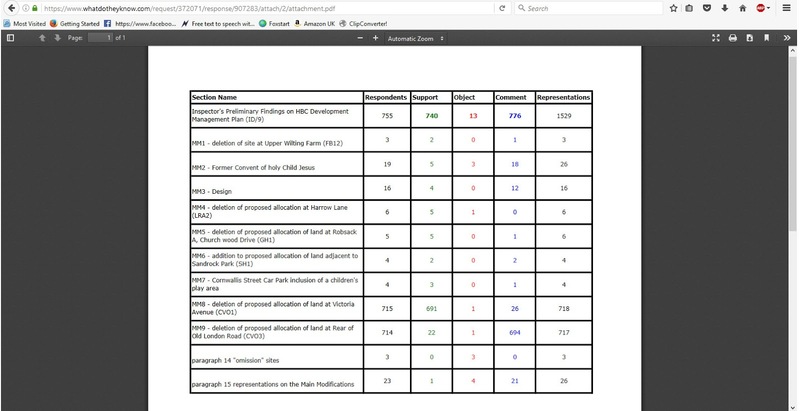 It is quite clear from the meeting that Mr Davidson was not even holding an updated biodiversity code of Practice for Planning and Development BS42020:2013 manual which he was refering to. This was evident from its cover. The advice was therefore in our opinion flawed. 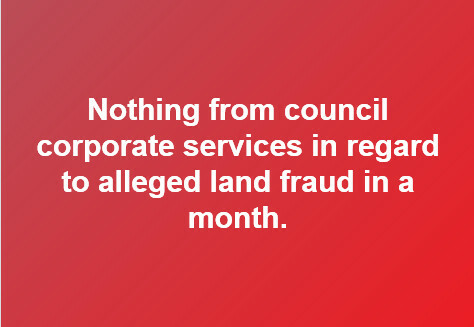 Council poised to act in fraud . 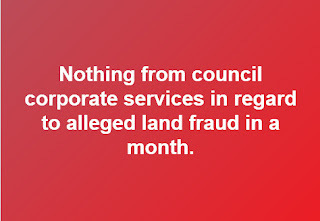 Council poises to act in fraud . The Badger Protection Society Ltd have spoken to the Friends of Speckled Wood today informing them that the Council is moving towards an act of fraud in its Planning matter HS/DS/17/00194, which is part of protected open space Speckled Wood. Mr. Newbold of the Badger Protection Society said that the latest document from the Planning Department was a clear move in the Council to cajole the Planning Committee to commit fraud. He said the Council is fully aware of their actions here on this land which Land Registry has informed him has a 32 Acre lease hold. 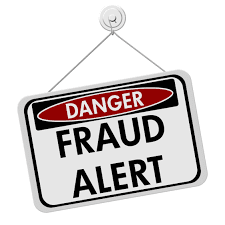 Fraud is defined as wrongful or criminal deception intended to result in financial or personal gain. Since this date the Land Registry has broken off communications and the matter has gone to the ICR . it is quite appalling to think that our Council could be acting in a fraudulent direction any not have any scrutiny in place to ensure this kind of actions are stopped. Further action is being investigated. We are quite appalled and you should be aware from this Hillsborough Inquiry that you could be accountable in these matters even 30 years hence. We strongly advise HBC get your house in order . Is the Council trying to runaway from its liability? 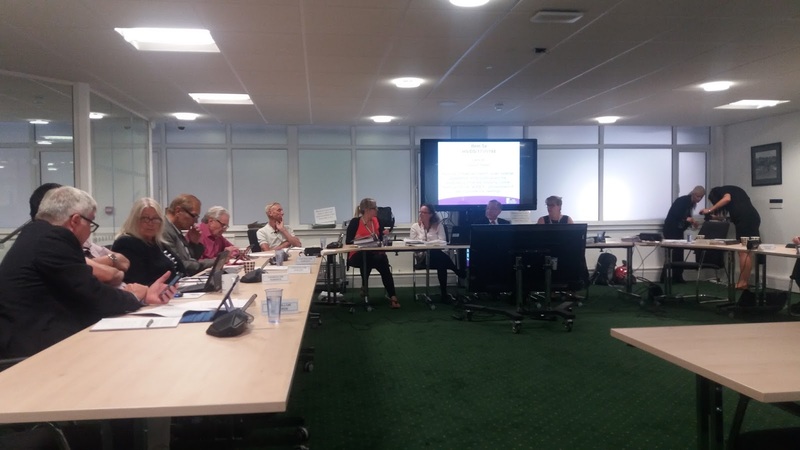 The Council have been asked if its intention is to commit fraud this week and its reaction is to try to dispose of the land that this alleged fraud surrounds. The Council has been notified of this fraud in its planning matter HS/DS/1700194. The initial Registration of this land has been a subject of a complaint with Land Registry for over a month it is quite apparant that the 38 acres of land with a 1000 year lease has not expreed and the Councils First registration was flawed. The Inviestigation bodies are still investigating the matter . Is the Councils action consistant to an admition of this fraud? 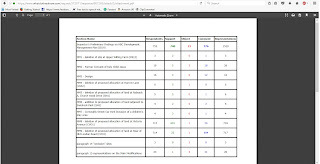 http://www.hastings.gov.uk/my_council/transparency/public/ The web site talks about transparancy. we can see no transparancy here when its own leader of the council used Speckled Wood to manover his seat in Ore.
Is this the kind of actions you expect from your Council A spokesman for the Friends of Speckled Wood Managment Trust said " This is disgraceful". 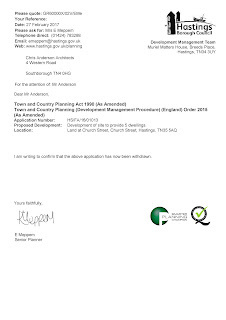 The Friends of Speckled Wood Managment Trust Chairman has sent in 1.5kg of objection to the new reserved matters planning to put five houses on Church Street again on top of the badger sett. This application was halted last month and the wildlife groups all believe it is the first phase to develop Speckled Wood, Hastings as the Council has nothing to register the land of Speckled Wood as they promised they would. The Badger Society and Friends of Speckled Wood Managment Trust are keen to stop this from happening as it could be the start of real problems on other sites turning our town into a concrete jungle. The Hastings Badger Protection Society Ltd also pledged their support stating "That they are absolutely disgusted." 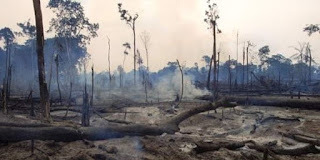 Picture courtesy google images and Care2 Petitions. 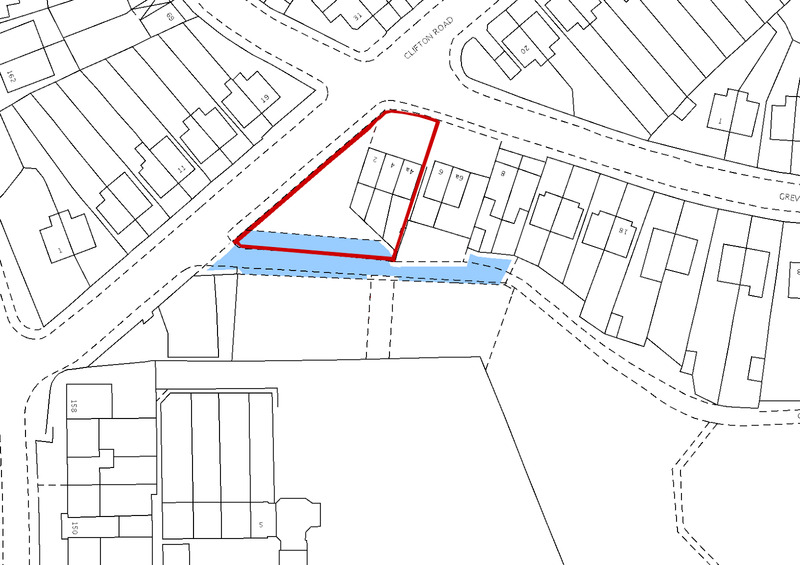 Planning on Church Street has been withdrawn by the Applicant according to a notice placed on the Planning Application HS/FA/16/01013 | Development of site to provide 5 dwellings. | Land at Church Street, Church Street, Hastings, TN35 5AQ. The exact words on the application front page were "Decision Withdrawn by Applicant" and this was dated Mon 27 Feb 2017. The Chairman of Friends of Speckled Wood has been working with Land Registry to obtain information on Land Ownership. Talks are on going. It is known that the Council registered HT19042 in 1962 with an Application Form and document for induced registration. This was later transferred to Homes and Communities in 2003. 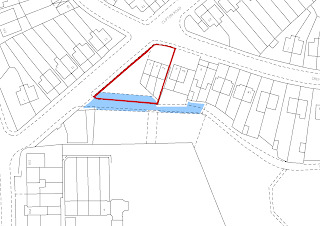 The red area is the area which is believed to be a village green and had been used up and to recently without let or hindrance for more than 40 years. Development starts in Speckled Wood. A fencing truck arrived today along Church Street and has put up metal fencing rails in Church Street Speckled Wood. The Council has been contacted and has no knowledge of this and have referred the matter to enforcement team. Clearly this is what we expected would happen as the Council do not seem to be honoring the promises made by Councilor Peter Chowney in his election paperwork. The Charity received a wonderful letter in the post today stating that our MP Amber Rudd, The Secretary of State has written to Lord Thomas the Chief Lord Justice in regard to the missing underpinning documents from the Hastings Development Plan. These should have been legally available after the Consultation for the Main Modifications. It is known that Rothers’ Examination Report is correct and was written by the Planning Inspector. Hastings Borough Council document was written by someone in the Council at the time. The Charity has been concerned that the lack of the underpinning Examination Report makes the Development Plan Unsound. This is concerning as the Borough makes Green Space areas which the Council state are protected. It also questions why this process failed and why the Inspector does not seem to have supplied Hastings with an Examination Report when it has supplied one for Rother District Council. The Charity have been working for over two and a half years to get a Legal Decision from the Freedom of Information Act 2000, The Information Commissioner , Three First Tier Tribunal Service GRP & GRS Tribunal , The Judicial Appointments and Conduct Ombudsman and now the Chief Lord Justice. A spiral bound report has been prepared by the Hastings Badger Protection Society Directors and Friends of Speckled Wood Management Trust to ensure this matter is properly dealt with. The Charity has been fighting to save Speckled Wood since 2012. The Charity was set up when other groups would not provide an electronic consultation for the public. 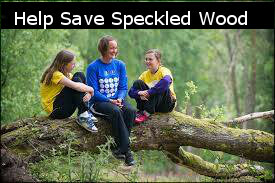 Over 7000 Reponses were sent in to the Council from the Charity in an attempt to Save Speckled Wood. The Charity used skips to remove dangerous rusting metal work and rubbish from the site over two years in 2013 in an attempt to clean the area up for the children who play there. The meeting was very successful and a lot of information was shared with Lord Atkin and the Home Secretary. The Home Secretary Amber Rudd MP agreed that she would help and an action plan has been established. The Charity is hoping to hear back from this in a few weeks to see what their next course of action is going to be. The matter is hopeing to Save Speckled Wood as the Charity has been fighting to Save this area for the Wildlife and Children that use this area since 2012. Judicial Appointments & Conduct Ombudsman will investigate. The Judicial Appointments & Conduct Ombudsman confirmed by telephone today that it will investigate the Chamber President in regard to the decision that his office was investigating with the missing Planning Inspectors Report which was requested from the Council two and a half years ago and has still not been forthcoming . "This was excellant news the chairman states as it was very kind of JACO to step in and help." Mr Donald Wise of Hastings Badger Protection Society stated " I am totally ashamed that the Council has not produced what everyone was expecting to see." Speckled Wood is Currently Designation by Natural England: Priority Habitat Inventory - Deciduous Woodland (England), Woodland Improvement (England), National Forest Inventory (GB). The Community Shop in Ore , Hastings is having a £1.00 SALE for one day only . If you spend £10.00 there is free tea or coffee & cake in the gallery room. Please come and help support us . There will be a collecting tin for the charity in the shop. We would love your support. battle threatens "Natural England over its lack of monitoring of licences." On the 23rd June 2016 the MP Amber Rudd wrote to two Directors of the Hastings Badger Protection Society in regard to the serious correspondence and breach of license terms particularly in the area of Kent and Sussex. The matter has been passed to Dame Julie Mellor of The Parliamentary and Health Service Ombudsman asking her to investigate and address the points of ten serious failings believed to be occurring. The most serious being a breach of a former Decision Notice with regard to a piece of Land in Hastings which is part of Speckled Wood Estate. What concerns the Hastings Badger protection Society is the proper enforcement procedure and advice which is causing cruely to protected wildlife. Natural England is believed to have last taken publicised action in regard to wildlife crime in 2012. The Hastings Badger Protections Society believe this is not good enough.